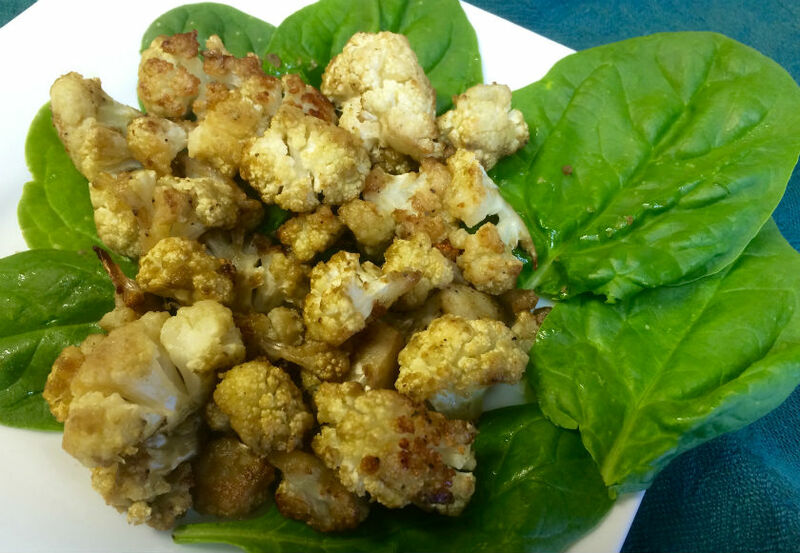 Roast cauliflower is the vegetable appearing in the test kitchen this week. We see so many different versions of it, that it seemed appropriate to experiment. 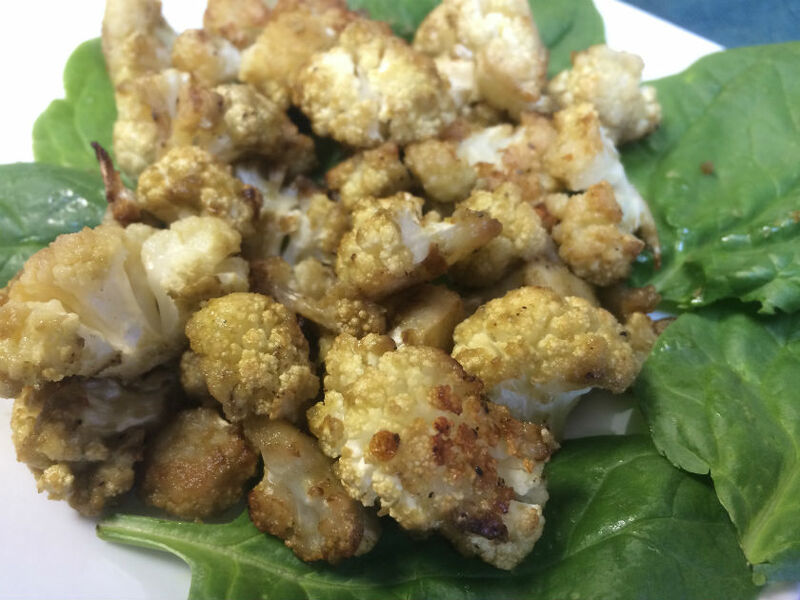 Cauliflower roasts beautiful, retaining its firmness and texture, yet adapting to the flavor of its seasonings so well. We see the in Cauliflower Fried Rice and Cauliflower Mashed Potatoes. A favorite method here is to roast it with lime and cilantro. Since the Mexican flare works so well, I decided to try an Asian style this time. That is part of the reason. The other part is a love for wasabi. To mix up your menu, give it a try. I seem to like wasabi with so many different dishes. Much like horseradish, it has a strong flavor and a nice bite, depending how much you use. Roasting it on the cauliflower mutes the flavor some, but you still get that lovely taste. Next time I might serve some creamy wasabi to dip the cauliflower. Using sesame oil and wasabi, you get a healthy Asian dish that can be served as a side dish, or as a light lunch or dinner. It would make a great appetizer to nibble on too. Serve on a bed of greens with toothpicks, and see how your guests enjoy them. Line a baking sheet with parchment or spray with cooking spray. Break cauliflower into bite size pieces, about 1 inch in size. Blend sesame oil, wasabi powder, salt and pepper in a bowl. Add cauliflower and toss until well covered. Bake at 300 degrees for 20 minutes then turn. Bake an additional 10 to 20 minutes until just tender. All you need for this recipe is a baking sheet and parchment paper. It’s easy to prep and delicious to eat. Enjoy!